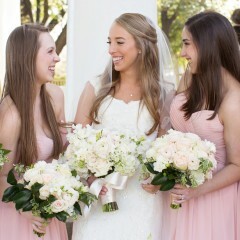 BRANCHING OUT IS A FULL SERVICE FLORAL AND EVENT DESIGN COMPANY LOCATED IN THE HEART OF THE DALLAS DESIGN DISTRICT. WE FOCUS ON A LIMITED AMOUNT OF EVENTS EACH WEEK TO ENSURE PERSONALIZED SERVICE, IMPECCABLE DESIGN AND A SMOOTH INSTALLATION. YOU CAN TRUST US TO TAKE YOUR CONCEPTS AND CREATE SOMETHING THAT IS BEYOND WHAT YOU COULD ENVISION. WHILE OUR FIRST LOVE IS - AND ALWAYS WILL BE - FLOWERS, WE ARE SO EXCITED TO OFFER OUR CLIENTS AN EXCLUSIVE LINE OF FURNITURE AND DECORATIVE ITEMS DESIGNED AND CURATED BY DEBBY.